The Pullo Center is a 1000+ seat performing arts center located on the campus of Penn State York, in York, Pennsylvania. Their website needed an upgrade inside and out, and this was accomplished with a refreshed design, and a content management system configured to their needs. 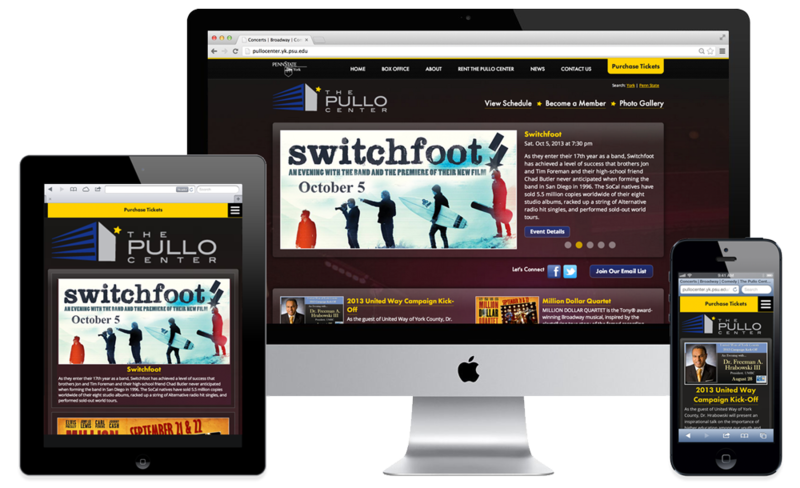 The Pullo Center needed a site inline with the high caliber of entertainment they bring to their venue. This was done with a stylish, dark color scheme with bright highlights throughout. Their collection of professionally shot photographs was also used to bring impact to the background of each page. An essential part of a performing arts center's website is the event schedule, and this site allows for a variety of options, including multi-day events, event sponsors, and video embeds. This is all manageable by the venue staff. 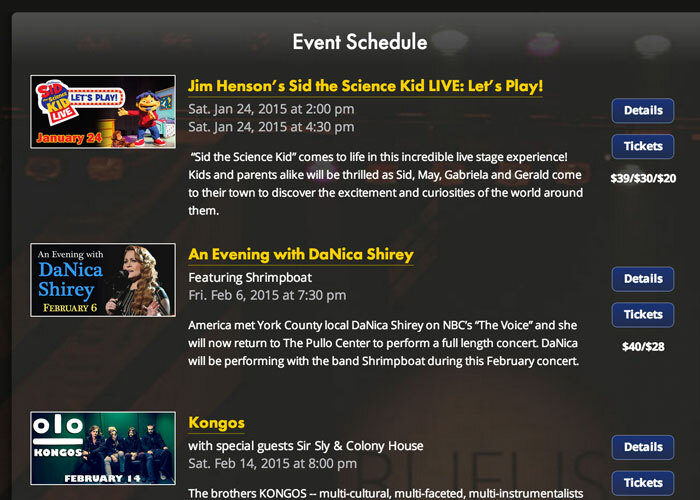 Showing off past events is a great way to entice ticket buyers and artists to come to the Pullo Center. 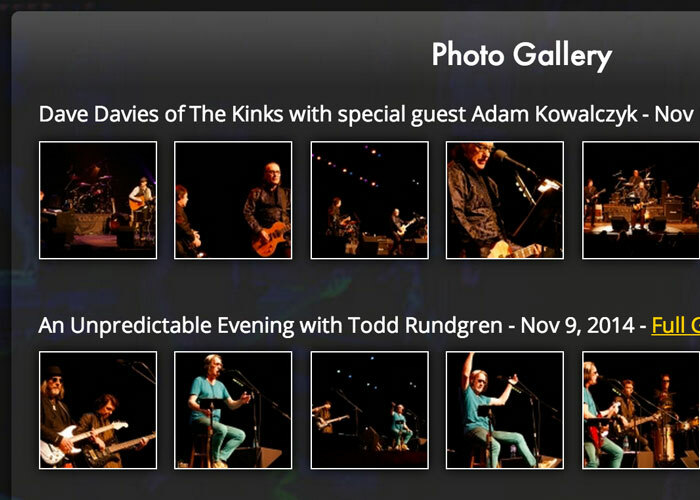 The staff can create galleries for each show, and include links to a full gallery on their Facebook page. Spreading the word about upcoming events is critical, and this site allows staff to create categorized news articles to help promote their events.